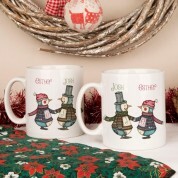 This adorable his and hers penguin mug set is the perfect gift to give to any happy couple. They will always pick out their matching mugs when they have a break for a cuppa. 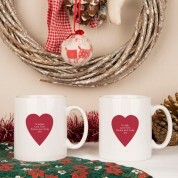 Why not add their favourite sweet treat with this gift- perfect accompaniment with a refreshing drink. 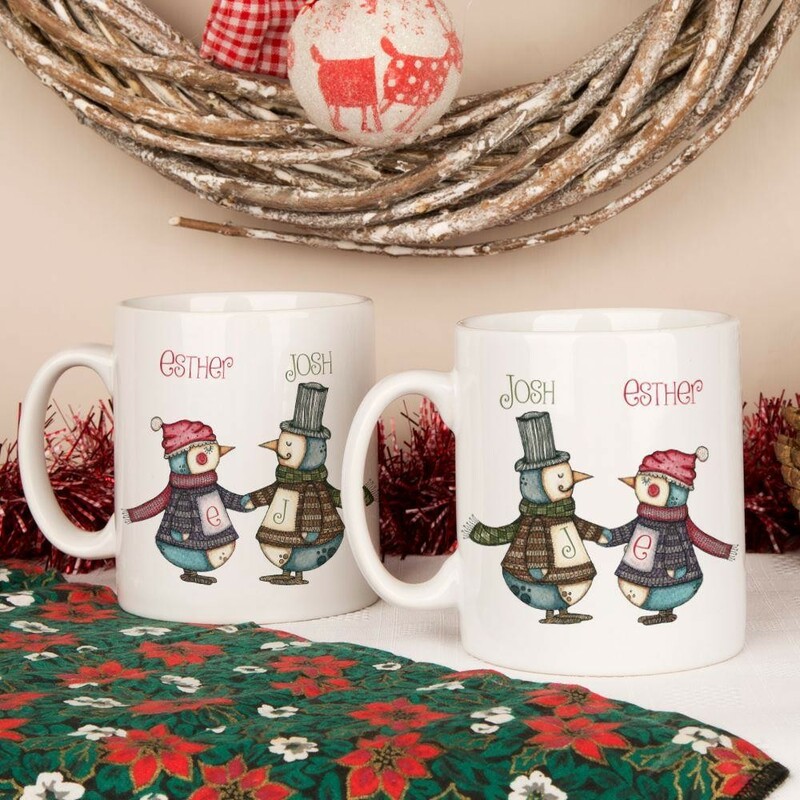 The penguin mugs can be personalised with his and her first initial and the couples first names and a personal message on the back. Material: ceramic. Dimensions: approx 9cm tall. We recommend that you hand wash your mug to keep the colours bright.